Reviews – items and experiences relevant to us as a family and our readership. I love working on fun campaigns. Bespoke blog posts for this blog & brands own websites to help highlight a service/company, and/or share on social media channels. Please note: I am happy for companies/brands to email me regarding product/experience reviews etc, however I will only collaborate if I feel the subject/product is relevant to me or my family. I am always honest about my opinions after a thorough testing period. I will always state if I have received an item to review, and will disclose if a post is written in collaboration with a brand. 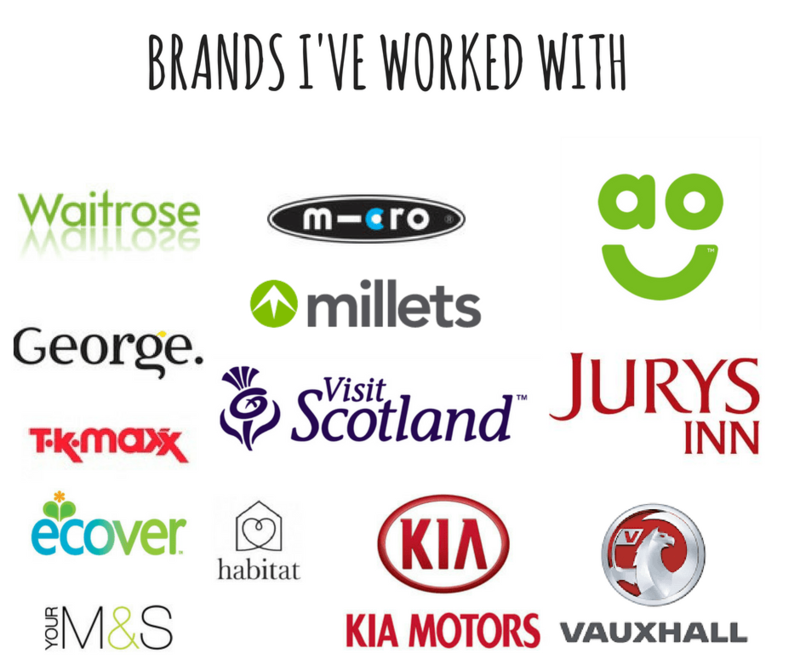 See my media kit here for further stats and info, and below is a selection of brands I’ve worked with over the years. Scrapbook Social is the umbrella under which I work as a freelance social media & community manager, I currently work with baby/child related brands but am willing and eager to dip my toe in other fields. Please email me at LaurenBFreelance[at]gmail.com to discuss working with me in this capacity. I also do the odd bit of hotel/accommodation consultancy – pre kids I was a hotel manager for one of Brighton’s largest and busiest hotels! All content & images are the property of this blog and its author. Please do not copy or reproduce content without prior permission. This site may contain affiliate links; Please see my disclaimer page for more information.